When we talk about becoming a professional or semi-professional bettor, there are many things to we need to do in preparation. From setting up a bankroll, finding the best betting site, which can provide us with useful information and betting tips, setting up a staking plan and digging deep into betting terminology are just some of the things anyone who starts out his journey in the betting world should do. However, once all is set and done, we need to do one last thing, which can make or break our success story. It’s picking the right bookmaker. Choosing the right bookmaker is not only one of the first things we need to do before jumping into the betting world, but arguably also one of the most important factors that could have a huge impact on our betting results. Picking the right betting site or tipster site which can provide their readers and subscribers with valuable information and betting predictions will play a big part of any bettors success, but it will all come down to the bookmaker we choose and the services those bookmakers offer. Spending a lot of time researching the top bookmakers, their pros, cons and finally deciding which bookmaker is the right for us, might prove to be a tedious and a time-consuming task, but it will prove to be a time well spent. To start off with our search for the best bookmaker, it’s highly advised to look through numerous betting sites, some of which also provide unbiased bookmaker reviews, which will not only give us a good insight into bookmakers, but it will also save us a lot of time in our search for the best bookmaker. With numerous different bookmakers out there, there are those which have been blacklisted by the community, and those who are widely considered to be the top bookmakers. You will surely come across several sites, which will promote bookmakers which are generally known to be ones to avoid, which is why it’s important to find a website which offers an unbiased and professional bookmaker review. Once we find a bookmakers review site, there are a few factors we need to check and decide if they met our criteria. Those four are the most important criteria we need to check and evaluate before deciding. If the bookmaker is known to limit their players, it might not be the best option for long term betting. Secondly, we need to check the odds offered by the bookmaker, which are highly important for any serious bettor. If the bookmaker offers odds which are clearly lower than the rest of the market, steer clear from them. Keep in mind every % matters in betting, so it’s only normal to avoid bookmakers with low market value. The third thing that might not seem like it’s important at first glance is customer service. While this may be overlooked, customer service is one of the key factors when we are deciding on the bookmaker. If the bookmaker has good customer relations, it does not only add to its quality and credibility, it also means they care about their customers. And lastly, we need to check the withdrawal and deposit methods as well as fees. This should be taken into consideration as some bookmakers tend to charge large fees or have unusual long withdrawal periods. The latter might not be an issue for some bettors, however, most of us want our money as fast as possible instead of having to wait days or weeks. Additionally, if the bookmaker does not support your preferred deposit method, it might cause some unnecessary trouble. 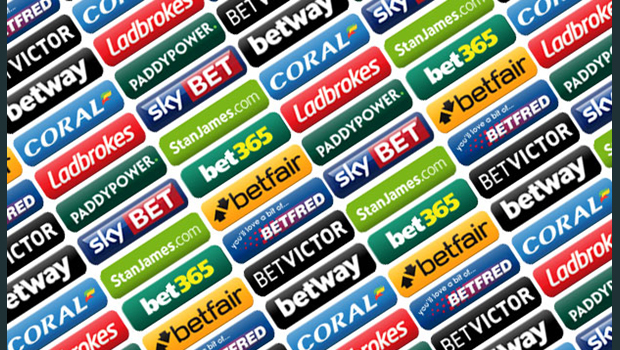 There is also a question about different types of bets the bookmaker offers. Some offer only the basic types of bets, while others have numerous special bets. While this will most likely not affect how successful we will be in our betting journey, for some the special bets can offer some value or at least something to “spice up” the betting experience. There are also subjective factors that might attribute to our final decision. In addition to previously mentioned special bets which a person might find intriguing, some have casino games available as well, which might be something a person would prefer. In the end, we even decide on the bookmaker based on its appearance, or even the name. It’s been mentioned before and it will be mentioned again. When we are deciding on our bookmaker, thorough research is needed. Reading a few bookmakers reviews will help us with our decision and avoid sketchy bookmakers which will do more harm to us than good. Once we get our shortlist of bookmakers who meet the minimum criteria, the decision really is in our hands. Maybe one bookmaker is more suited for the sport we prefer to bet on, maybe it offers better bonuses or it’s just the colour of their website that we prefer. While it may seem it’s a tough job deciding which one to pick, don’t worry about it. If you’re serious about betting and want to become a professional, you will most likely end up with several accounts on several bookmakers, just so you can chase better odds and ultimately higher profits. In the end, as long as we can avoid the “bad” bookmakers, it’s really up to personal preference where we will start our betting journey.